It’s hard to find good fishing spots near major metropolitan areas that aren’t overrun with people or trashed out. Cibolo Creek Nature Center, just outside of Boerne, Texas, is a happy exception. Situated about 30 miles from downtown San Antonio, this wonderful preserve and wildlife research site offers many exciting possibilities for the tenkara angler. 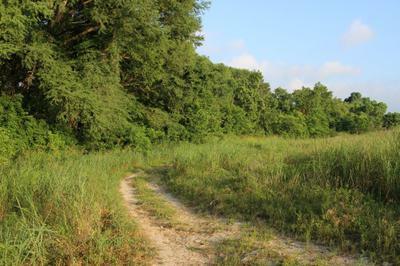 Encompassing about 100 acres along the Cibolo Creek, this natural area is a beautiful mixture of marshlands, prairie, and woodlands. The rich bottomland along the creek features towering cypress trees and an abundance of vegetation. 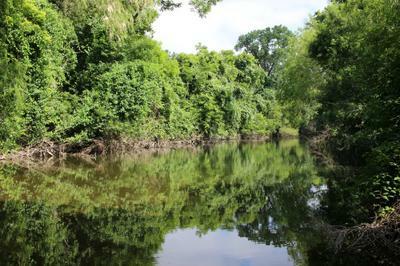 The fertile waters of Cibolo Creek support a healthy population of panfish, Guadalupe bass, largemouth bass, Texas cichlids, and channel catfish. The creek itself is perfect for tenkara and keiryu angling, with long stretches of shallow riffles, deeper plunge pools, and several wide, slow spots. The fishing is strictly catch-and-release, and most of the casual anglers I meet stick to the area immediately below the visitor center. If the tenkara angler works his way up and down the creek, he will often have the water to himself. Cibolo Creek is an excellent location to hone all of your tenkara skills. 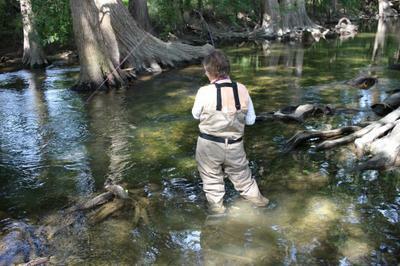 Many areas have tight, overhanging brush, with plenty of submerged cypress roots to snag your fly. Other areas get deep in a hurry and require weighted nymphs to be effective. As far as rods, I’ve used everything from a Shimotsuke kiyotaki 18 to a Red Dragon Carp rod to good effect. The shallow riffles are perfect for traditional kebari flies, but weighted killer bugs work best in the deeper water. Working nymphs around the cypress “knees” and roots is almost sure to bring a strike. During warm weather, the creek can be pretty snaky and buggy, so I always wear waders and carry insect repellent for the mosquitoes. The only bathrooms are at the visitors’ center, and I’d encourage you to bring a hat, lots of water, and sunscreen lotion. South Central Texas can get brutal during the summer! The healthy fish population in Cibolo Creek is a joy. I can’t think of a day when I haven’t caught enough fish to keep me satisfied. No, they haven’t always been big, but there’s always been plenty of them. Micro-fishing enthusiasts will go crazy, with the abundant population of eager, smaller fish. Cibolo Creek also holds bigger bass, catfish, shellcrackers, and cichlids. What more could a warm-water tenkara angler ask for? Fishing is good year round, with some of the best days during fall and early spring. I’m thankful for the excellent volunteer staff who do a wonderful job of maintaining the trails and running the education programs. While many hikers, joggers, birders, and school groups use Cibolo Creek, I’ve always been able to find plenty of good places to cast a line. The Nature Center is open 365 days a year, from 8:00 A.M. till dusk, but the Visitor Center has somewhat shorter hours. Be sure to check their website for the latest information. Admission is free, though donations are appreciated. Always bring a general Texas fishing license and photo ID with you, should the warden stop by. Remember: This is NOT a state park, so it’s not going to have the same kind of staffing, facilities, and regulations. If you’re making any kind of a long drive, I’d encourage you to check weather conditions and water levels. 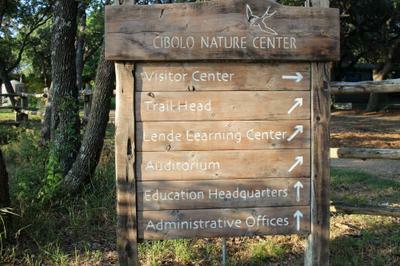 Give Cibolo Creek Nature Center a try. You won’t be disappointed!